The most versatile of the V6 line, this riflescope with 103 MOA elevation and 58 MOA windage adjustment is built to excel at mid- to longer range shooting distances. 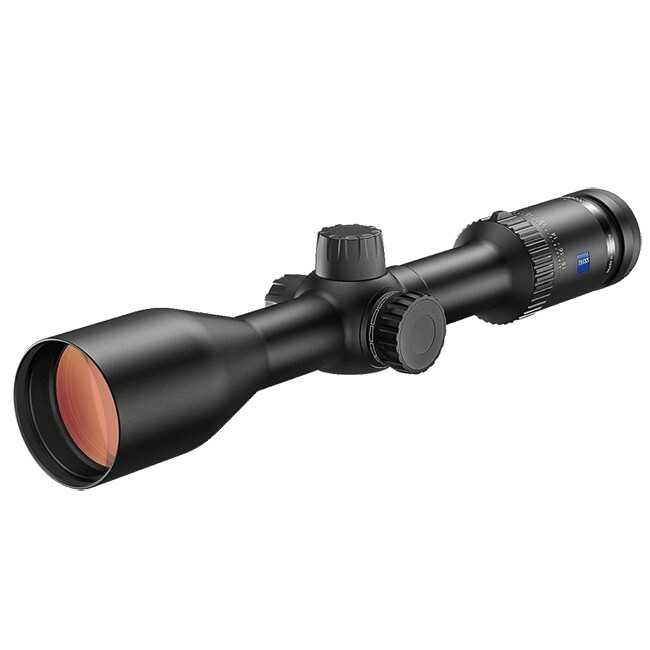 The 3-18x50 is the perfect scope for the mobile Western hunter in pursuit of elk, mule deer, antelope or mountain sheep. This compact and low profile scope also features ¼ MOA click adjustments, side parallax and is offered with either the #6, ZBR-2 or ZMOA-2 ballistic reticles. Made in Germany for the rugged demands of any hunting or shooting style, the new Conquest V6 with true 6x zoom, 30mm tube and up to 100 MOA elevation adjustment is engineered to reach beyond expectations. Zeiss FL (Fluoride) Glass, enhanced T* lens coatings and LotuTec® protective coating provide industry-leading resolution and shooter accuracy. Available in three models: 1-6x24 / 3-18x50 / 5-30x50. Featuring new ballistic turret and ballistic reticles ZMOA and ZBR for long-distance hunting or shooting. Protected by the Zeiss U.S. 5-Year No Fault Policy and Limited Lifetime Transferable Warranty. For the hunter who demands versatility and uncompromised long-range capability, the Zeiss Conquest V6 is the scope that proves distance is nothing. Optics are everything.